White Oakland residents are increasingly using the popular social networking site to report "suspicious activity" about their Black neighbors — and families of color fear the consequences could be fatal. The strange glances are starting to become more frequent. 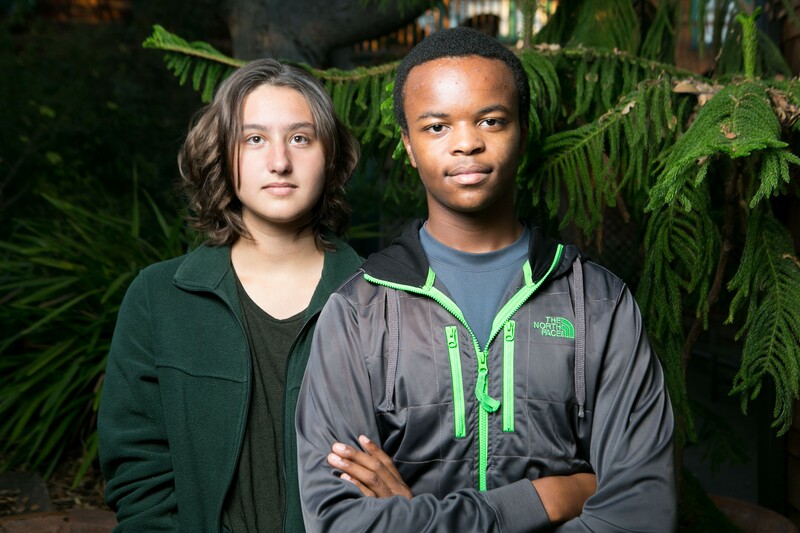 James Fisher, a fourteen-year-old freshman at Oakland Charter High School, has noticed that as he gets older, more people on the street eye him with suspicious or fearful stares. "Some of them just look at me, and then they'll look away," he said. "Or sometimes, I go into stores, and they look at me like they think I'm going to do something bad." James is a Black teenager who is soft-spoken and looks about three years older than his actual age. On a recent afternoon last month, I chatted with him and Emma, his thirteen-year-old sister, at their house in the Upper Dimond neighborhood in the Oakland hills. The two siblings told me about their first weeks of high school and how they have enjoyed the freedom at times to walk around Oakland's Chinatown district without their parents. But they never walk around their own neighborhood alone. The tree-lined residential street of large single-family homes where the Fishers live more closely resembles suburbia than a densely populated city. Positioned at the top of a steep hill near Dimond Canyon Park, their house feels worlds away from the busy urban bustle of MacArthur Boulevard and the Fruitvale district just to the southwest. On the surface, their block looks like an ideal place to raise kids — safe, family-friendly, and quiet. Although their individual street is very diverse — with about ten Black or mixed-race kids now living nearby — white residents are by far the largest racial group in the surrounding area. And it's in this neighborhood, perhaps more so than any other part of Oakland, that James feels most like a target for the uncomfortable glances that are becoming increasingly common in his life. Emma and James Fisher don't walk around the Upper Dimond due to concerns about racial profiling. But he and his parents are not just worried about hurtful stares from neighbors or passersby. Over the last two years, their neighborhood has become overrun with racial profiling — but not by police, rather by mostly white residents incorrectly assuming that people of color who are walking, driving, hanging out, or living in the neighborhood are criminal suspects. 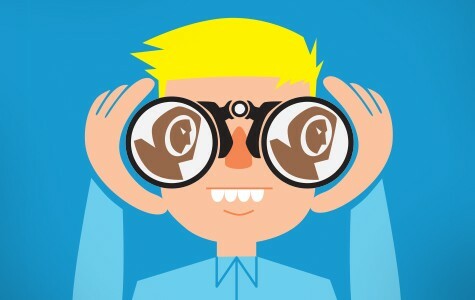 These residents often don't recognize that they may have long held racial prejudices or unconscious biases, but recently, they've been able to instantly broadcast their unsubstantiated suspicions to thousands of their neighbors with the click of a mouse. Nextdoor.com, a website that bills itself as the "private social network for neighborhoods," offers a free web platform on which members can blast a wide variety of messages to people who live in their immediate neighborhood. A San Francisco-based company founded in 2010, Nextdoor's user-friendly site has exploded in popularity over the last two years in Oakland. As of this fall, a total of 176 Oakland neighborhoods have Nextdoor groups — and 20 percent of all households in the city use the site, according to the company. On Nextdoor, people give away free furniture or fruit from their backyards. Users reunite lost dogs with their owners. Members organize community meetings and share tips about babysitters and plumbers. But under the "Crime and Safety" section of the site, the tone is much less neighborly. There, residents frequently post unsubstantiated "suspicious activity" warnings that result in calls to the police on Black citizens who have done nothing wrong. In recent months, people from across the city have shared with me Nextdoor posts labeling Black people as suspects simply for walking down the street, driving a car, or knocking on a door. Users have suggested that Black salesmen and mail carriers may be burglars. One Nextdoor member posted a photo of a young Black boy who failed to pick up dog poop and suggested that his neighbors call the police on him. Unwelcome at Home: Black Oaklanders on Racial Profiling from East Bay Express on Vimeo. White residents have also used Nextdoor to complain and organize calls to police about Black residents being too noisy in public parks and bars — raising concerns that the site amplifies the harmful impacts of gentrification. On Nextdoor and other online neighborhood groups — including Facebook pages and Yahoo and Google listservs — residents have called Black and Latino men suspicious for being near bus stops, standing in "shadows," making U-turns, and hanging around outside coffee shops. Residents frequently warn each other to be on the look out for suspects with little more description than "Black" and "wearing a hoodie." "These posts cast such a wide net on our young Black men," said Shikira Porter, an Upper Dimond resident, who is Black. "You start seeing this over and over again, and you understand quickly that, oh, it's the Black body that they're afraid of." In some Nextdoor groups, when people ask their neighbors to think twice before labeling someone suspicious, other users attack them for playing the "race card" and being the "political correctness police." Some groups have even actively silenced and banned the few vocal voices of color speaking up on the websites, according to records that I reviewed. This sometimes toxic virtual environment has real-world impacts. Residents encourage each other to call police, share tips on how to reach law enforcement, and sometimes even alert cops and security guards about suspicious activity they've only read secondhand from other commenters. I spoke to longtime Oaklanders who say the profiling is getting worse, noting that they have recently had neighbors question them on their block or in their own driveway — suspicious of whether they might be up to no good. People of color described stories of white residents running away from them, screaming at them to leave a shared garden space, and calling police on young children in their own home. In some areas, the profiling is further exacerbated by the growing presence of private patrol officers whom residents have hired to guard the streets. Five recent Bay Area terrorism cases by the FBI raise questions as to whether the bureau has enticed young, troubled Muslim men to attempt acts they wouldn't have otherwise committed. Hayward to use foundation to evenly distribute pot benefits for the entire city. In Oakland, the industry outlook remains cloudy yet hopeful. California prisons fail to help abuse victims and the mentally ill rehabilitate behind bars — and refuse to grant them parole so they can turn their lives around with loved ones on the outside. California wastes tens of millions of dollars a year keeping people in prison long after they've been rehabilitated — denying parole for arbitrary reasons and destroying lives in the process.